Bluebloods » Shuttle sires, what are they good for? In this article, pedigree analyst Peter Jenkins uses the phrase with far more serious intent, provoking a serious examination of the overall impact of shuttle sires in Australia. Is the outcome “absolutely nothing”? Read on to find the answers. The purpose of this study was to assess the worth of shuttle sires during the past 25-30 years based on a comparison with the equivalent group of domestic stallions. 1. The stallions must have stood in Australia for at least one season from 1990 to 2010 inclusive. The purposes of these dates are to coincide with Danehill’s arrival in Australia and to also allow the youngest stallions to have at least three crops racing for evaluation. 2. 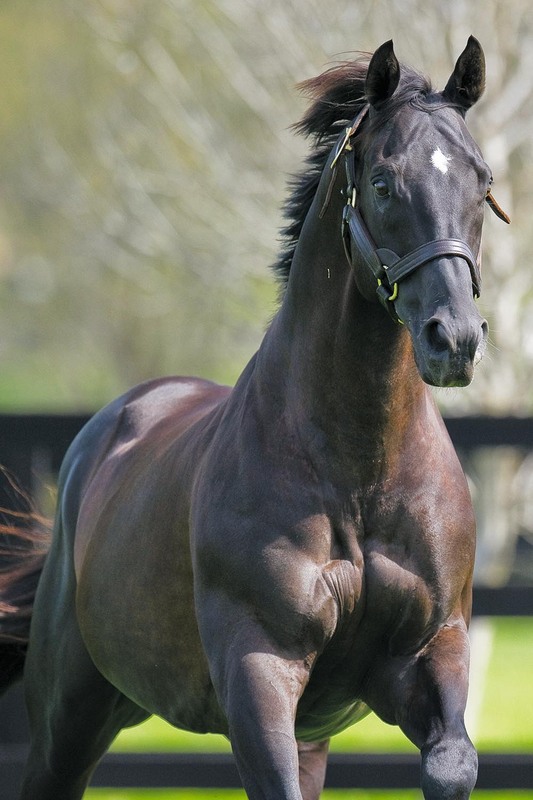 Stallions who also stood in New Zealand will have their NZ and Australian crop stats combined. This is because it is fair to consider Australasia as one geographical jurisdiction for the purposes of this study. 3. Stallions are grouped into two categories “Shuttle Stallions” and “Domestic Stallions”. All shuttle stallions who began their stud careers in the NH are treated as “Shuttle Stallions”. Stallions who began their careers in Australia and subsequently shuttled to the NH are classified as “Domestic Stallions” as are stallions who have stood only in Australasia. For example and for clarification, Hussonet is considered a Domestic Stallion as he began his post-South American career in Australia before shuttling to the US. More Than Ready and Danehill began their careers in the NH before shuttling to Australia and are therefore classified as Shuttle Stallions. 4. All Shuttle Stallions within the specified period are included in the study. All Domestic Stallions who stood for at least one season at a fee of $5000 or more are included in the study. This figure allows for the approximate comparison of like with like. Most shuttle stallions would have stood for a fee, at least initially, in excess of this figure. 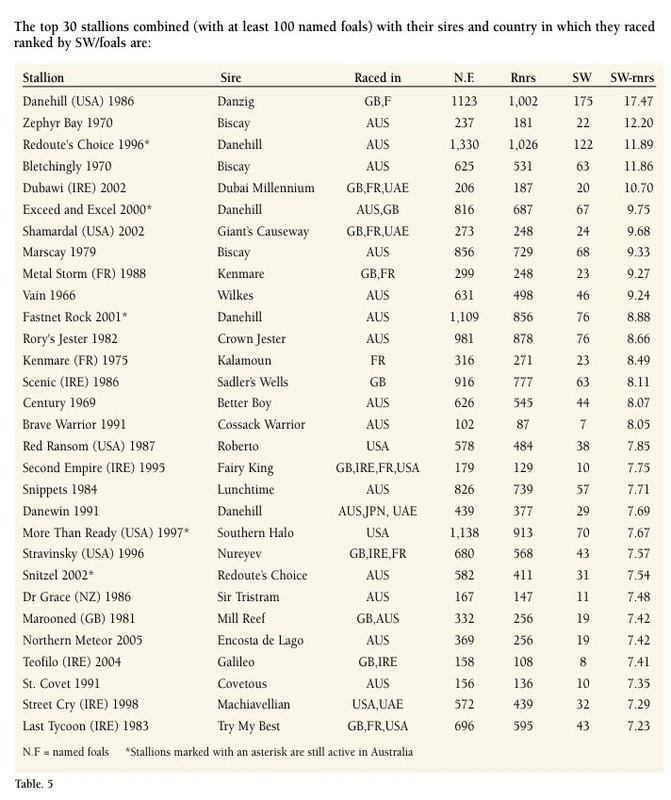 The Shuttle Sire group outperformed the Domestic stallions in both SW/runners and SW/foals by about 0.5 to 0.7 % however in the case of the median, the Shuttle Stallions median was more than twice that of the Domestic Stallions. The difficulty in comparing the success of one group against another should be obvious. While it appears the Shuttle group have been more successful there is no doubt the racing quality and stud fee bias towards the higher end of the range resulting in higher quality mares in the case of the Shuttle Stallions has likely slewed the results in their favour. Due to this bias I felt obliged to study the “cream of the crop” so to speak from each group. Therefore I isolated the leading 10% of sires in each group based on a stakes winners/runners index. This resulted in the leading 26 Shuttle Stallions being compared to the leading 58 Domestic Stallions. The results of these comparisons are shown in Tables 2, 3 and 4. A notable absentee from this list is the son of Bletchingly named Chariot who produced 364 named foals, 283 raced and despite his progeny winning 499 races, not one of these was a black-type victory. His absence from the above list is due to the fact that his highest advertised service fee was $3000. FOR decades now there has been much discussion in the industry regarding the value of the shuttle sire concept. Even beyond the phenomenal Danehill there have been a number of notable successes such as More Than Ready, Red Ransom, Stravinsky, Street Cry, Dehere, Scenic and Last Tycoon, not to mention early pioneer Kenmare. 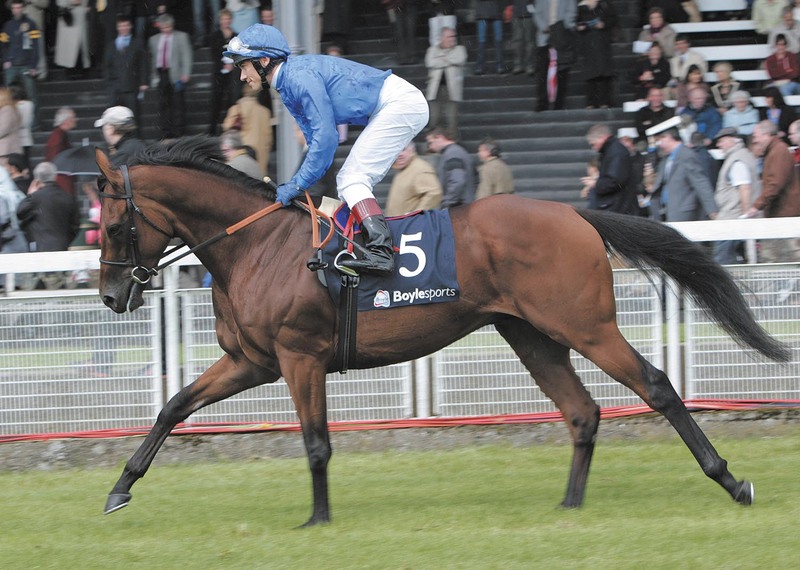 While others who somewhat lacked local appeal initially such as Dubawi and Shamardal were eventually better appreciated after their stints had come to an end. Of the 263 shuttle sires in the study more than a third were shuttled under the Coolmore banner with Arrowfield, Vinery and Darley also significant players in this field. There can be little doubt that the breeders of Australia have benefitted significantly in an overall upgrade in the quality of their broodmare bands by the availability of shuttle stallions as opposed to merely a selection of local Gr.1-winning colts. As touched on above, the fact that most shuttle stallions were Gr.1 winners and therefore commanded high commercial service fees meant that the quality of mares covered by this group would have been superior to all but the best decile of domestic stallions. This does not invite an easy comparison when trying to assess the merits of the two groups. 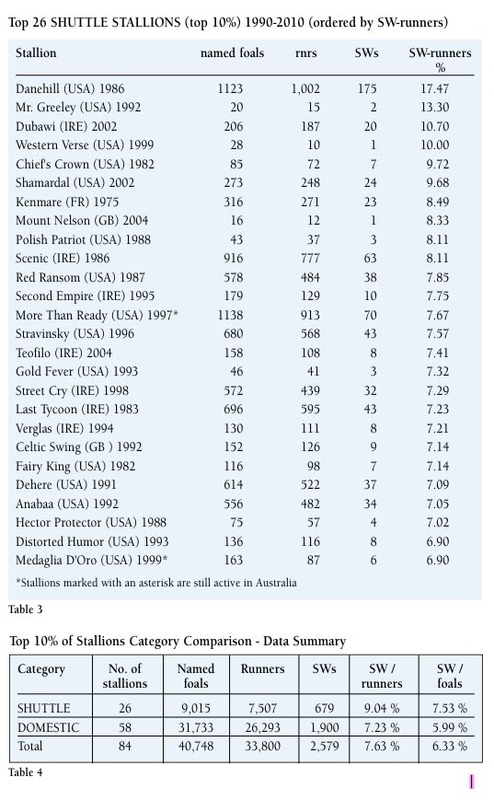 In the overall comparison of the two groups and in the comparison of the top 10% based on stakes winners to runners the shuttle stallions have the edge in terms of results. 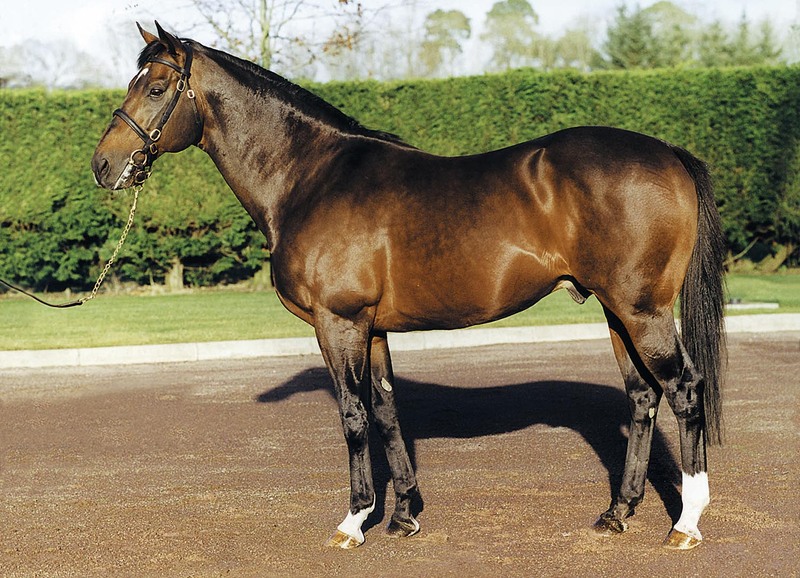 On this basis one would have to conclude the shuttle stallion “experiment” can be adjudged a success, built on the back of the dynasty-forming impact of Danehill and other early successes such as Kenmare, Bluebird and Alzao followed by Last Tycoon, Red Ransom and Royal Academy. These animals paved the way for a steady flow of NH talent although the presence of just two current stallions, More Than Ready and Medaglia d’Oro, just two of 26 in the overall top 10% of Shuttle Sires list, suggests that the current domestic product (16 active of the 58 who comprise the top 10%), has grown stronger with the imports team in need of a new superstar. In closing it is worth pointing out that prior to the shuttle stallion era domestic stallions obviously produced 100% of the stakes winners (NZ-breds excepted) but during the past 30 years the shuttle group has arrived and flourished and can now look back on having produced more than 2000 stakes winners, representing just under a third of the overall total in the period under examination. They have significantly added to the diversity of the gene pool and have no doubt upgraded the overall standard of the Australian-bred horse both domestically and internationally. On this basis the “experiment” can be adjudged to have been a success.